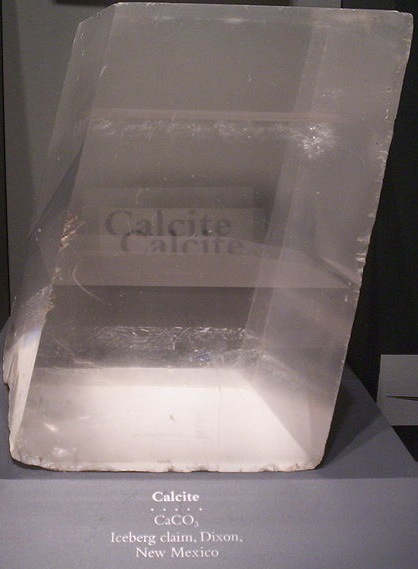 Calcite is a crystalline form of calcium carbonate. It is an extremely common mineral that makes up around 4% of the weight of the earth's crust - and it is the most common form of calcium carbonate, which is widely distributed throughout the world. Pure calcite is typically colorless but calcite may be found in many shades including blue, yellow, red, green, pink and orange. As is the case with many minerals, the impurities present dictate the coloration - and calcite may contain iron, magnesium, zinc, manganese or cobalt impurities in the "calcium position" of the mineral's molecular structure. Calcite is a major component of sedimentary rocks such as limestone, and of metamorphic marble. The largest calcite crystals ever documented came from Iceland and weighed around 250 tons. This variety of calcite is called "Iceland spar" or "optical calcite". It forms rhombohedral shapes, is colorless and resembles ice. Despite the name, and somewhat amusingly, much of today's Iceland spar comes not from Iceland but from Mexico. Some of the Mexican Iceland spar displays purple or blue fluorescence under UV light and some stones will even continue to glow after the UV source has been removed. 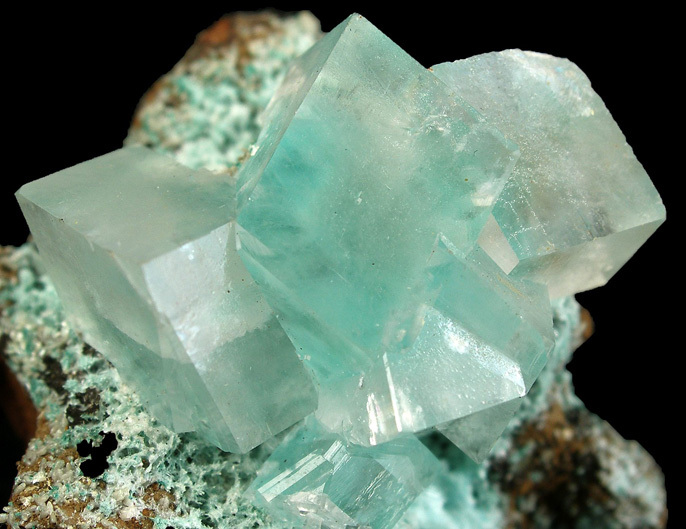 The name optical calcite was coined because Iceland spar has been used in optics for centuries - for lens creation. The optical qualities of this crystal were studied by Christiaan Huygens (1629-1695), Sir Isaac Newton (1643-1727) and Sir George Stokes (1819-1903). It is also a popular and affordable stone for mineral collectors. As far as gemstones are concerned - calcite is not much use to the jeweller on account of its softness, but as can be seen from the uppermost image, calcite can form attractive and interesting crystals which may be of value to crystal or mineral collectors. It is often tumbled or fashioned into spheres and egg shapes; also rough pieces of calcite can often be seen for sale as for example candle holders or lamps. Life forms such as coral and other sea creatures make their shells from calcium carbonate. Stalactites and stalagmites in caves are also made from Calcium carbonate.